Just hours ago Blizzard presented teaser of next Overwatch event, which will appear in Overwatch. It will be Uprising – one of the first missions of young Overwatch cadet Tracer. As part of players elicitation, Blizzard Entertainment is making few new things like heroes, modes or maps. But most of the players are waiting for new events, during which everyone can get new skins or cosmetics elements. One of the events like this is upcoming Uprising. 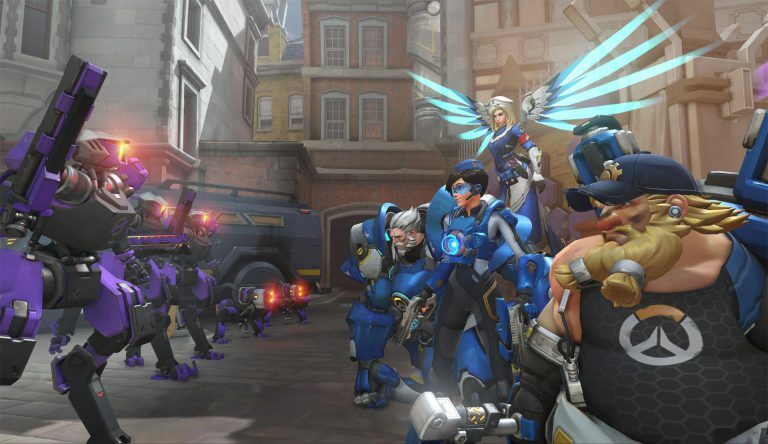 Overwatch Uprising is about the suppression of the Omnic terrorist group started on King’s Row – one of London district. This is also one of first missions of Tracer – young cadet whos skills will be needed to stop this invasion. What name has extremists that started killing innocent people at King's Row? How many legendary skins appear in Overwatch Uprising? How many agents fought in Uprising event? What agents took part on King's Row streets? Who decided to start Uprising mission? Where were held hostages taken by Null Sector? What military rank had Tracer when she takes part in Uprising mission? What Orisa skin was presented in Uprising event? How many Blackwatch skins were added in Uprising event in 2017?